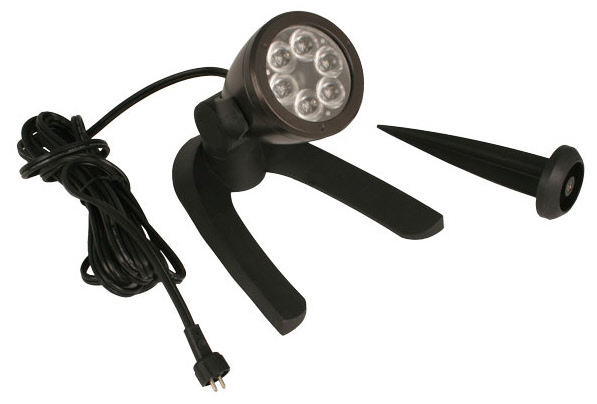 The new 2015 Aquascape Pond and Landscape Bullet Light Kit creates a beautiful nighttime focal point in any water garden or traditional landscape. The small compact design allows for installation in even the tightest places. Aquascape's Bullet Spotlight's compact size and powerful output makes it an extremely versatile fixture. 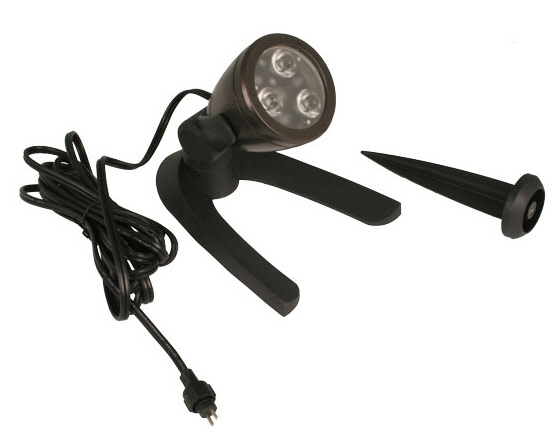 The Bullet Spotlight is ideal for highlighting focal points and can be used in and out of the water. Transformer not included. Lights connect to standard 12 volt transformers via the included 2-pin quick-connect. Transformers available here. Note: Transformer is not included. Transformers available here.